Guests will RSVP when they receive your Spokane Invitation! 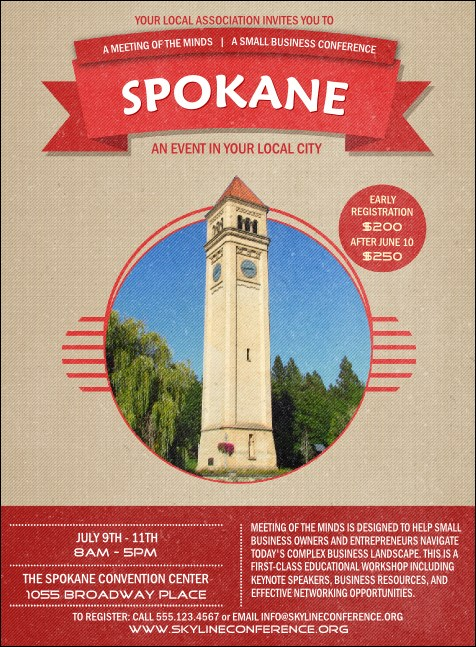 Order a Matching Event Kit with quality rich red colors and the familiar Clocktower in the heart of the Inland Northwest. Whether they root for the Gonzaga Bulldogs or the Spokane Indians - or both - ensure a good turnout with the right invitation! The right invitation can turn into a great event with TicketPrinting.com!